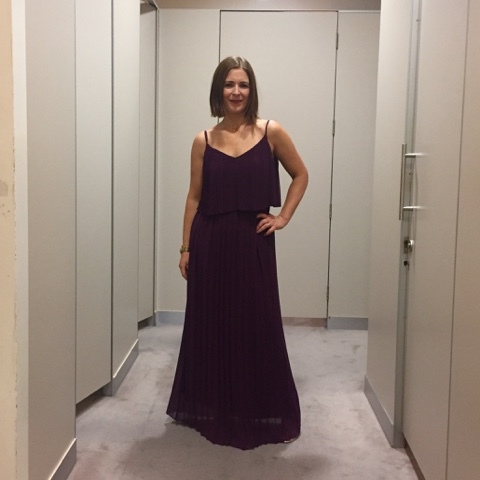 As part of this week's party promotions at House of Fraser (more below), I was invited in to try on some of the range of party dresses and jumpsuits in store at the moment and to select my favourite for the upcoming Christmas season. 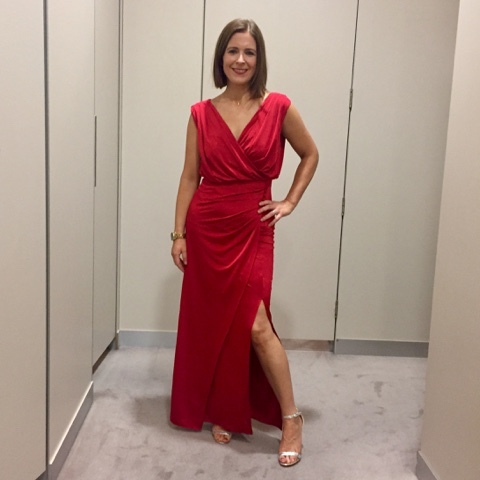 I was in my element - you know my love of Issa dresses in particular and it was amazing to see this latest drop of frocks from the brand, with longer and more formal options now in store ahead of party season. But I was also impressed this visit with Label Lab and Linea. Next up, another Issa one and this one is a bit more flattering on the mum tum and over the bust. The purple shade is stunning too for this time of year and I actually think it would work really well in summertime too with a denim jacket. All the blingarama now with this Biba dress! It's not a great shape for me as I suit a bit more nipping in at the waist but what a Christmas dress this is. 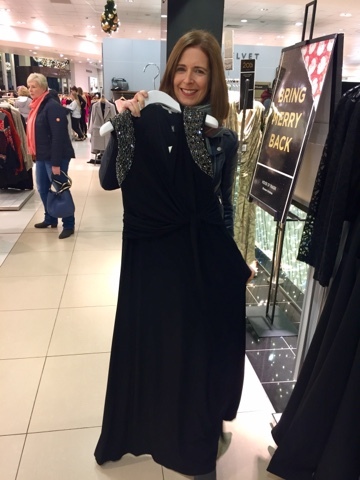 It's got those fab sequins that you can push up and down...which is potentially a torture as your kids will want to play with the dress constantly!! 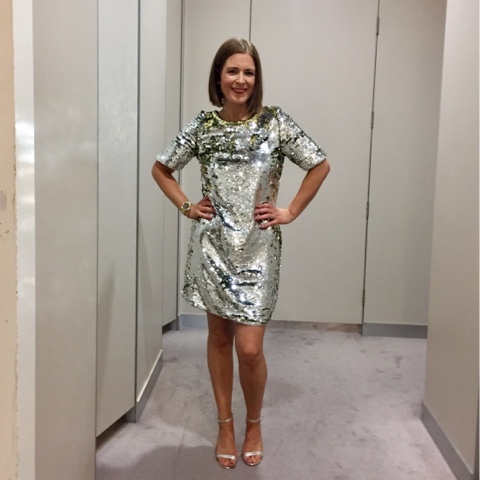 Biba Fully Sequin Shift Dress - I'm wearing the 12 as it's tricky to get on over your head! Finishing with a slightly less blingy number with Christmas day in mind. This dress would work so hard for you because as well as dressing it up with heels, you can dress it down with an oversized knit and ankle boots. The print is stunning and very seasonal and it covers the arms! Lots of ticks in the box and for me it was the one that stole my heart. 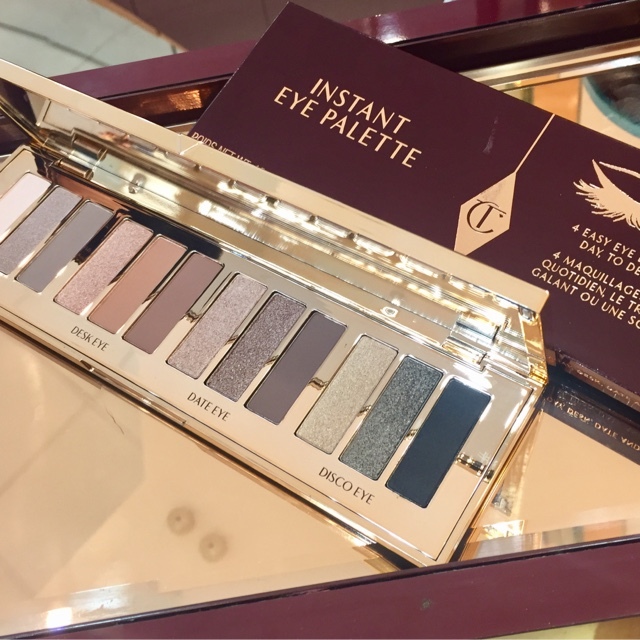 While I was in the store, I also checked out the Charlotte Tilbury counter mainly because I'd heard so much about the Limited Edition Instant Eye palette and their version of an advent calendar - the Naughty & Nice Magic Box which contains 12 products, including 4 full size. A must for any CT fans. But to my mind, the palette is a more attractive option. It's got 4 eye looks in one palette though I would mix and match them as the colours are workable together in any combination. 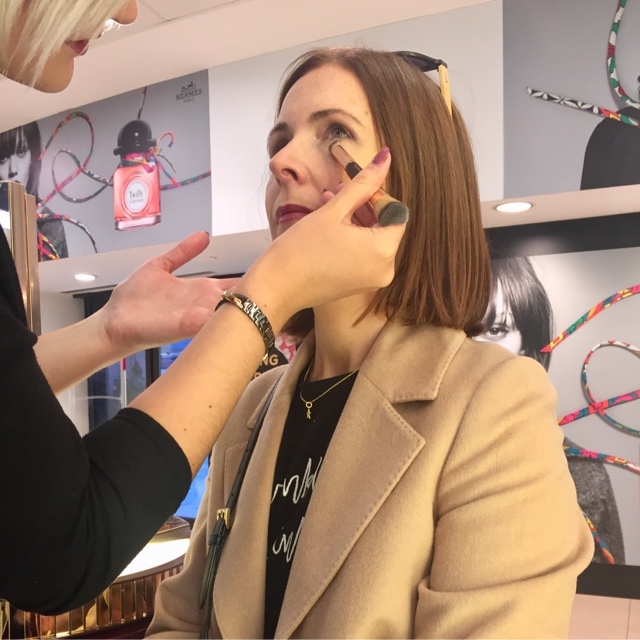 As the counter was quiet yesterday, I was offered the option to have my eyes done with the palette and Joanna my MUA used the 'date eye' colours beautifully. It stayed put all day and still looked amazing when I was going to bed and reluctantly taking off. 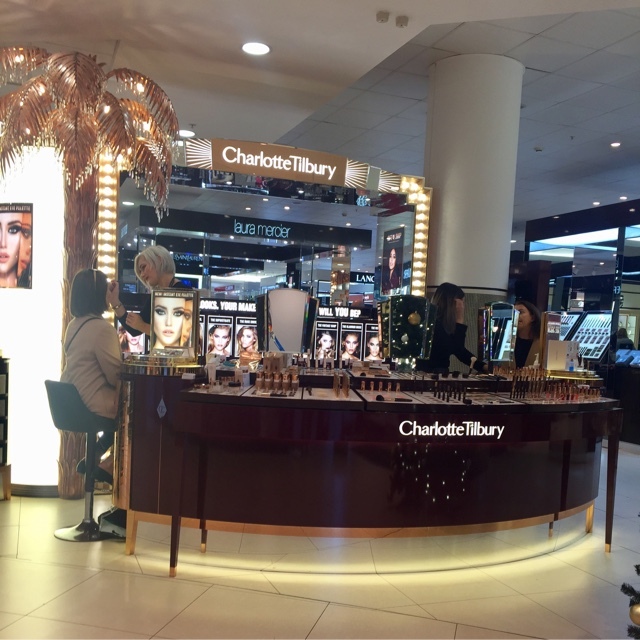 The other gift I was tempted by was this starter Charlotte Tilbury skincare kit. I asked Joanna what her hero product from the whole brand range is and she chose the Magic Cream. Which retails at an eye watering £70! But the starter kit is a great way to try out this cream, and Charlotte's best selling mask and primer (all in travel sizes). Retails at £39. But now, more about the Party People activity in House of Fraser stores this week. 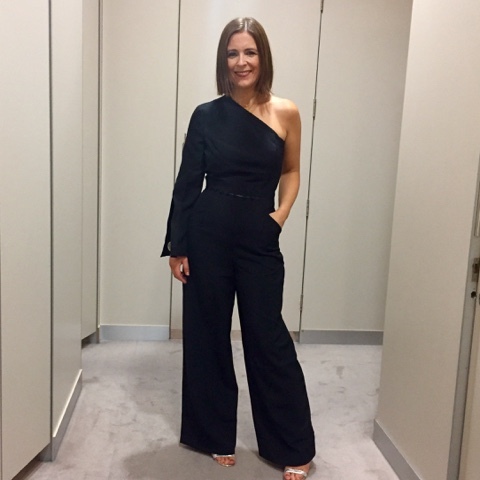 There already is up to 20% off party wear across many of the brands as part of this promotion, making this a great week to pick up your party outfit for Christmas. In the Belfast store specifically, there's a fabulous evening planned this Thursday with discounts and treats as well as stylist advice in menswear and womenswear. There will also be gifting stations on all floors so the organised among us can start on their Christmas shopping (not me). The event runs between 6pm and 10pm. Across all the stores, there's some Christmas charity activity going on in the form of Wishing Trees with all proceeds going to Action for Children. You can buy a decoration, write your wish and hang it in the tree in each store in return for a donation. What a lovely idea. Disclaimer - I received vouchers to put toward buying the Linea dress above. I was not paid to write this post. In some cases, the links are affiliate meaning House of Fraser pay me a small commission should you purchase (and keep) the item linked to. Thanks for supporting the brands that support this blog.